Universal car phone mount (cm1) is designed to hold your smartphone securely on your car's windshield or dashboard. No matter what your phone model is, you can fit it into this car mount holder. While the unit is designed to be compact to reduce view obstruction, the inner case s side holders are expandable to accommodate various devices including GPS, mp3 players, and even PDAS. 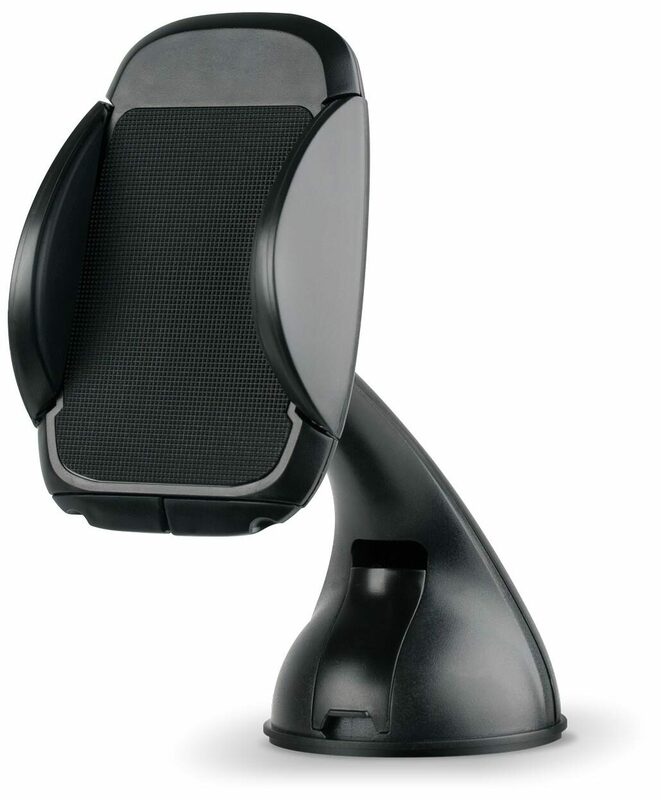 AT&T cm1 universal car mount for cell phones gives you the freedom to rotate your device 360° - which enables you to view your device in convenient positions from the best viewing angle. This universal car mount holds your device in place and absorbs any shocks to keep your phone steady and safe.